On Saturday, April 27 the citizens of South Oklahoma elected G. W. Patrick mayor along with a full slate of city officials. On April 23, 1889, G. W. Patrick began surveying south from the section line at Reno, as the Citizens' Survey began working north. Encountering no conflicting surveys, Patrick's crew laid out 35 blocks along seven streets, and settlers made adjustments as required. By Saturday, April 27 the citizens of South Oklahoma were ready to elect Patrick mayor along with a full slate of city officials. In spite of frequent turnover, the South Oklahoma officials served until Oklahoma City and South Oklahoma were combined in July 1890 according to rules set by the Organic Act establishing Oklahoma territory. 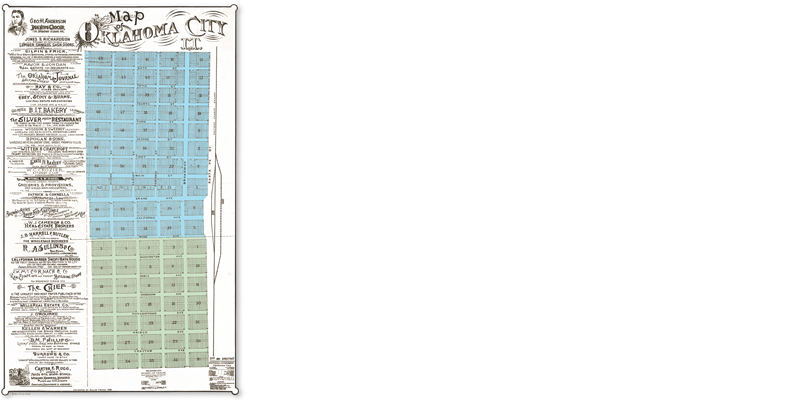 According to the City Directory published by the Oklahoma Chief newspaper, in August 1889, South Oklahoma contained approximately 1,300 residents compared with about 3,700 north of Reno in Oklahoma City. 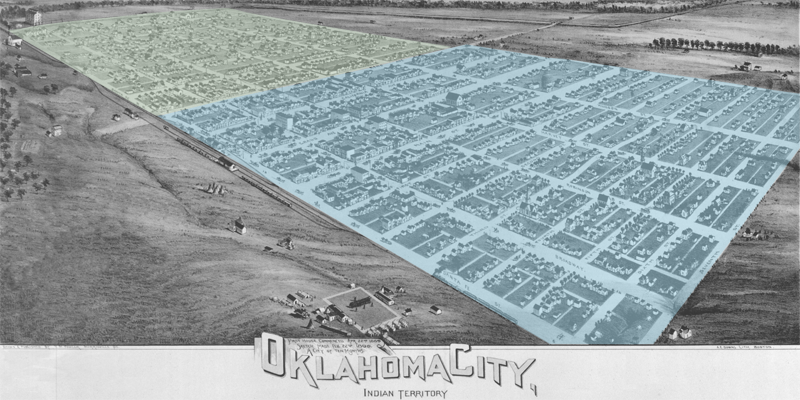 The commercial district was mostly in Oklahoma City (except for the south side of Reno) and was the most densely developed portion of the two cities. During the 15 months of its separate existence, South Oklahoma had a contentious political life, reflecting the land claim disputes of its larger neighbor to the north.